Queen City Vignette is a locally owned and operated rental company specializing in vintage style furniture, accessories, and oddities located right here in downtown Cincinnati. 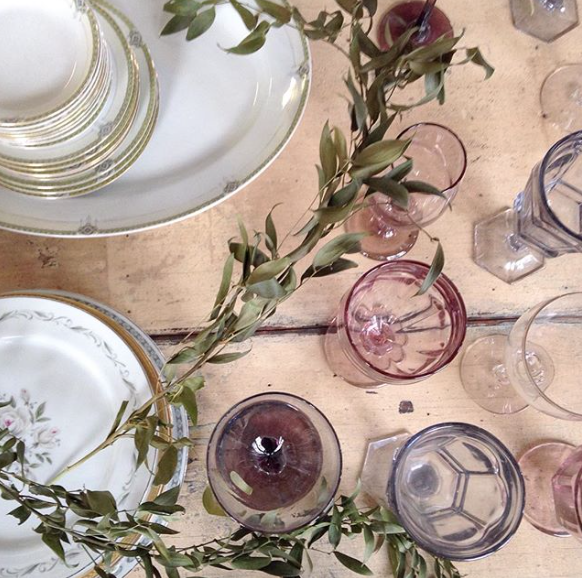 The co-owners, Emily and Amber live for discovering unique, vintage pieces from all over the states and bringing them back to the Queen City to rent for our celebrations. QCV's selection has limitless charm and character from gorgeous crushed, velvet settees to the very trendy copper tolix chairs, vibrant patterned rugs and small decor items like geometric terrariums or moroccan inspired lanterns. It's the ideal way to put together an eclectic, wedding design without making a large investment. Best of all they provide delivery, set-up and pick-up for a client-friendly experience. 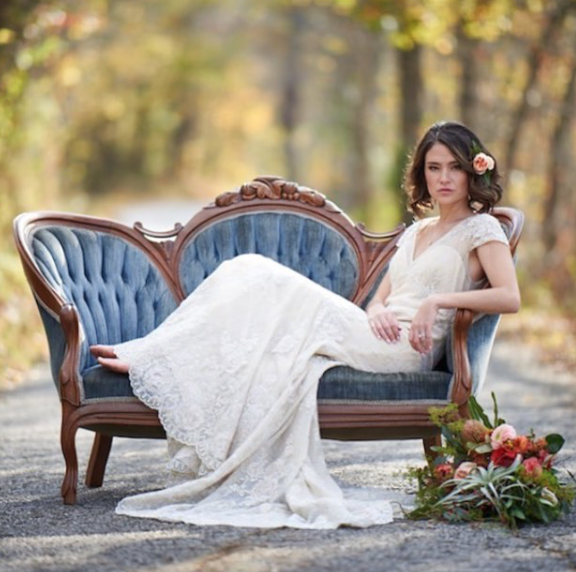 Want a luxurious setting for your wedding day photos? Imagine one of these settees with some fun pillows and a rug to create the perfect lux-look for you and your hubby to do some sultry, so in love shots at your venue. After your photos, this vignette can be transformed into a gorgegous lounge space or "photo booth" for your wedding guests to capture those photo-worthy moments. Not doing a "vintage" theme? No worries, QCV has a wide selection of pieces. It's simply curating and styling pieces with the right mix of florals and textiles to create the theme you are dreaming of including moroccan, industrial, rustic, etc. There is something to fit every style. Planning a boudoir photography session to surprise your man with? 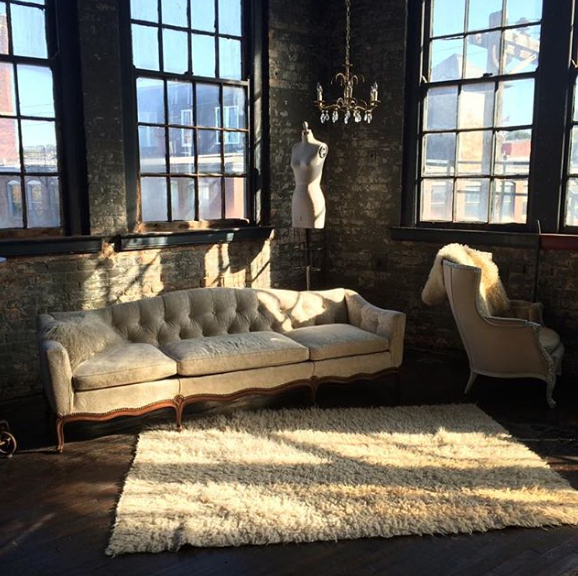 Imagine getting all dolled up, dressed up and lounging on this ivory jacquard settee at QCV's industrial loft as the backdrop for your boudoir shoot. 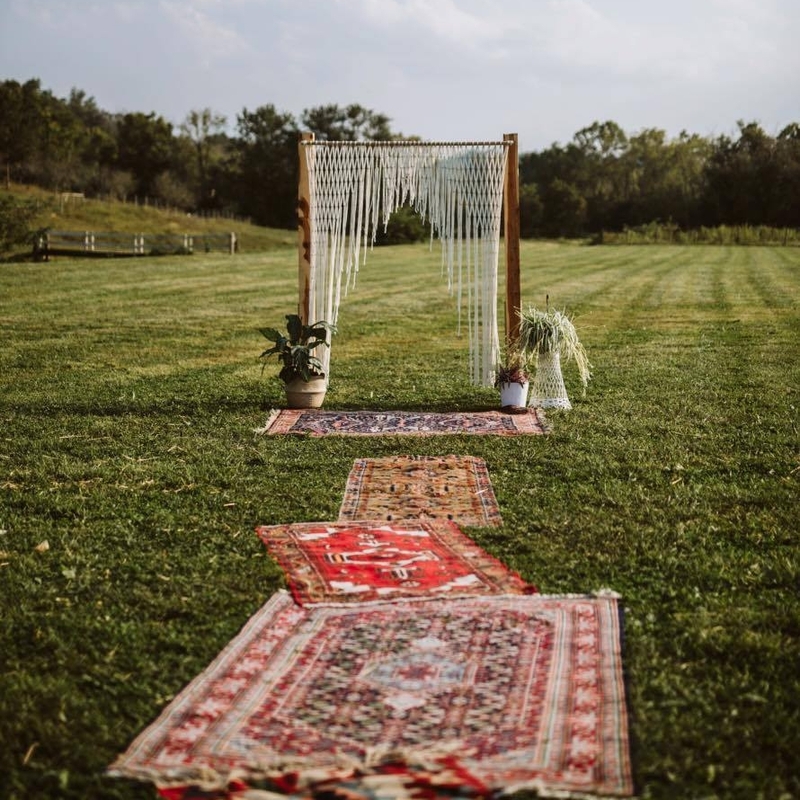 This private, unique and oh-so stunning setting would be perfect for those fashion-magazine worthy photos you and your husband will swoon over for years to come. Have you looked at the aisle runner options out there? Most are made of flimsy, slippery dryer sheet like material. It's so hard to find a decent one that will look nice and not be a fall hazard. Check out this vintage rug aisle runner. The vibrant colors pop and add character to this whole wedding ceremony setting. QCV allows you to literally "rent the runway" for your wedding day. It's like a personal "red" carpet for you as you make the fairytale, strut down the aisle. Need someone to help you pull all the details and decor ideas together? As a wedding designer, I offer design consultations and full design service packages. I have a knack for styling pieces to fit your theme and personal style. In my design process, I'll get to know you personally, your style, your love story, then I create a wedding design that is tailored to you. I'll help with the color scheme, sourcing the design pieces and put it all together the week of the wedding so you can just sit back, relax and enjoy your wedding day. Want to see more of what QCV offers? Visit their website to check out their inventory, portfolio and more.